Get complete Honda paint protection with Scotchgard Paint Protections from 3M. Stop harsh conditions such as stones, sand, road debris, and bug acids from eating away at one of your biggest investments. Scotchgard Paint Protection Film from 3M helps protect your finish like no other! Paint Protection Film maintains the beauty and integrity of automotive finishes on vulnerable exterior painted surfaces such as hood edges, fenders, and rocker panels and protects against stone chips, abrasion, and weathering. Fully transparent and nearly invisible, it does not alter your vehicle’s appearance. The most common areas to protect are the hood, fenders, and front bumper of a vehicle. Other common damage areas include the roof & A-pillars, rocker panels, rear bumper loading zones, and door sill areas. 3M film is more effective at preventing damage from rock chips and road debris more than anything else. Over a 3 or 4 year period, the film maintains its clarity, gets damaged and worn out, and is completely removable. Another advantage of 3M film is it helps increase trade values due to early protection. 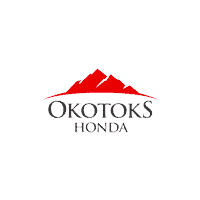 Okotoks Honda provides a comprehensive warranty on manufacturer defects and installation warranty. The paint protection film is car wash safe but high-pressure water should be kept about two feet from edges of the film. High-pressure water can cut steel and could possibly lift film edges.